Where can I find 2.6 exactly? are you going to update it to 1.7.8? I have a question. I was wondering if this would work if you regularly enchanted a item with a enchantment table? I would like to add particles like the flames on the hover boots, I just don't know if some people wouldn't want it. I don't know if I am the only one that sees my account glitched out and it added the _? It is. 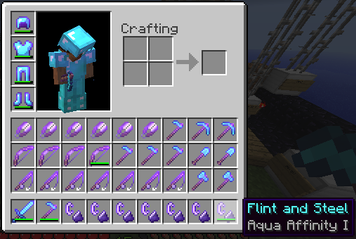 Use a plugin such as Essentials and just make a kit in the config with the enchantment such as featherfalling on the sword and it will work when people buy it.